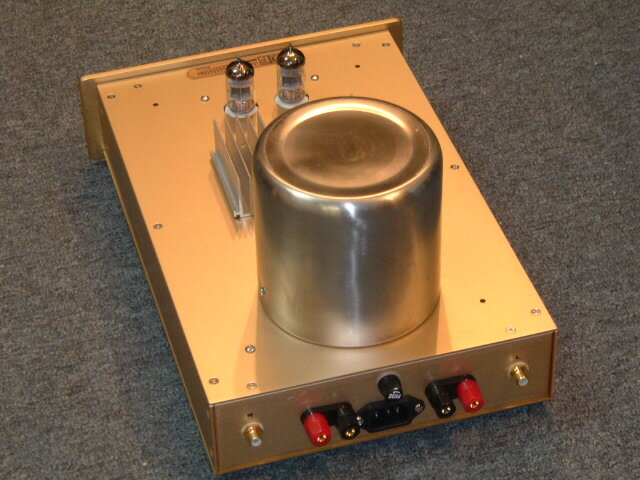 This is one of our state-of-the-art design of hybrid power amplifiers, which have both the advantage of a transistor amps high current drive (tight bass and good speaker control) and single-ended vacuum tubes amplification (warm and sweet sound with good depth, sound stage, and air). 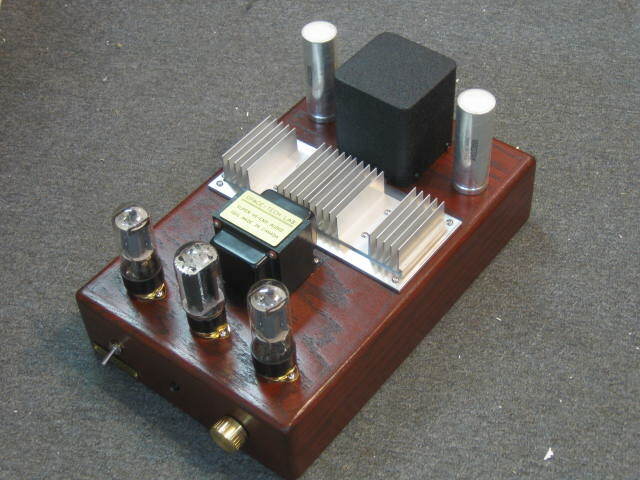 The output transformer of single-ended tube amplifier is replaced with a super high current, high damping factor solid-state transformer, which can output max. 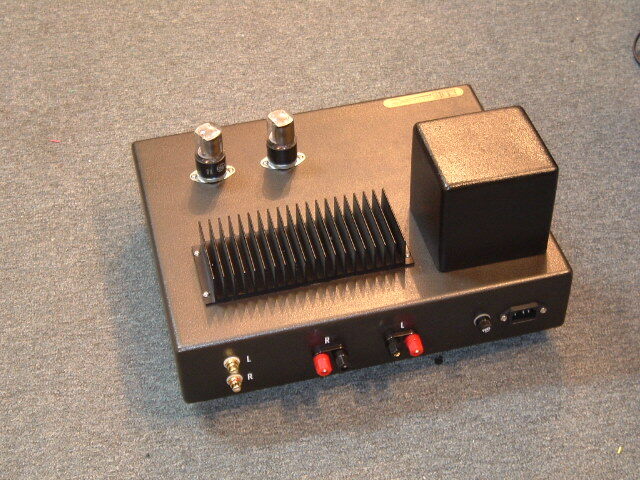 power of 100W/ch at 8 ohm loading . Built-in over-temperature and over-current protection for safety operation. The tube section is working in an optomized pure class A single-ended operation mode to achieve the purest and most natural tonal quality. 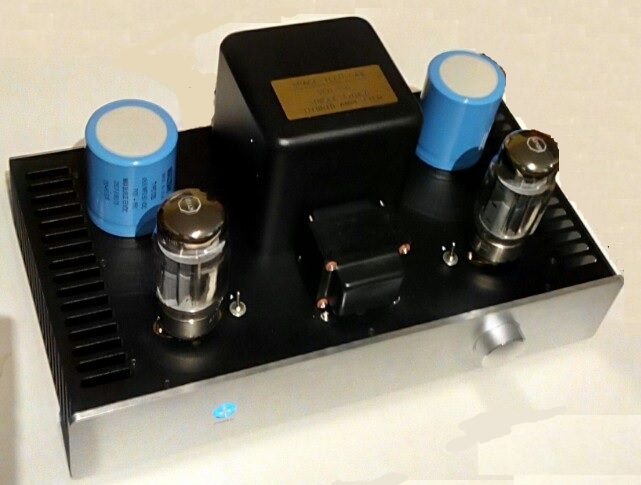 This new series of amplifier equipped with super rich and smooth tube sound, with our new designed "Airy / Normal" selector circuit, which can let you match almost any speaker without problem. When work with "Dark" sounding speakers, just flip the switch to "Airy" position and the sound of the system will open up right away. If the speaker is normal or bright sound, then just set to "Normal" position. 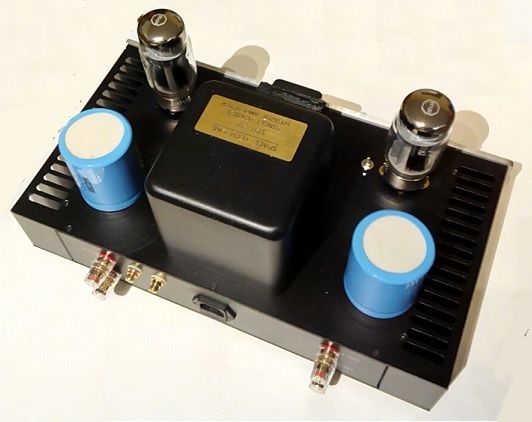 The pre-drive tube section can even use tons of different power tubes like 6550, EL34, 6L6, 6V6, 6F6, 6K6, 5881, 6CA7, KT66,KT77,KT88, KT99, KT100, KT120 and KT150...etc. 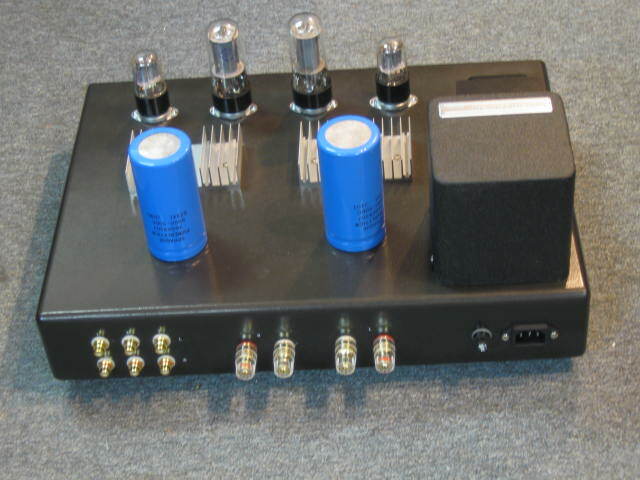 Different tube models give out different tonal quality as well as texture and density, please check our FAQ Q14 for sound char from various tubes. 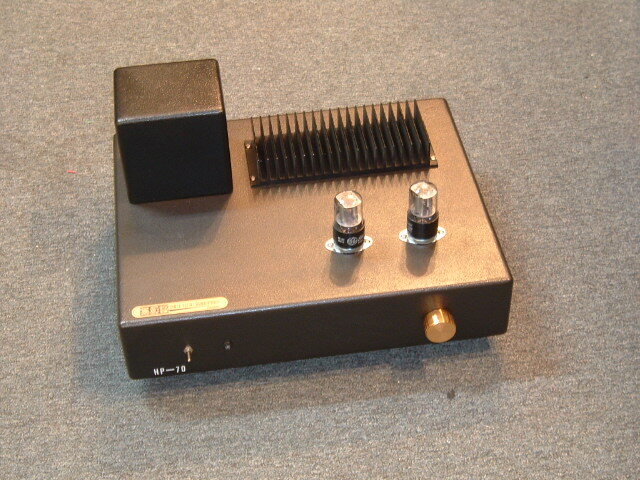 Just change a tube model , the sonic improvement can be bigger than changed 5 or more expensive interconnects at a time. 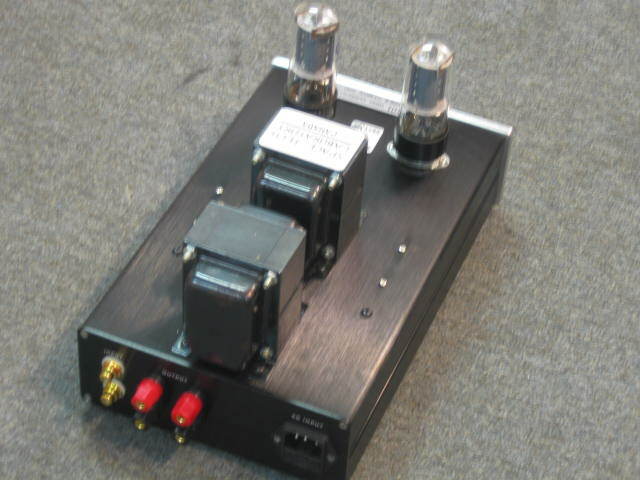 This unit also comes with input level / gain control, this feature can make this amp use as a single input integrated amplifier, or use in multiple amplifier (bi-amp / tri-amp ) mode , and can easily balance the gain between different power amplifiers.. 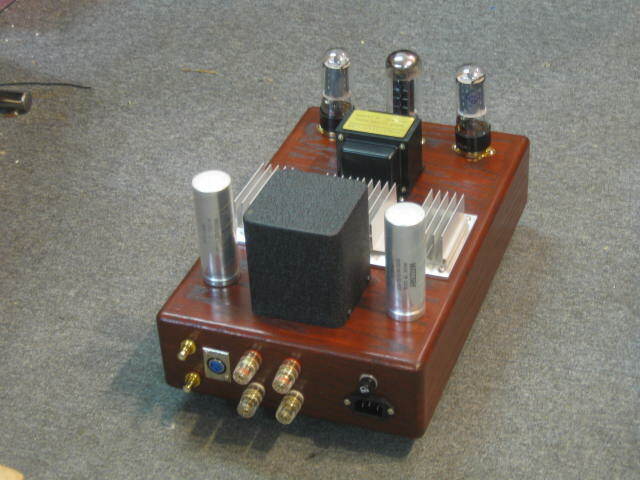 If you were unaware of this amplifier's construction, and you only judge the sound quality by listening, you would believe it is a pure tube power amplifier and not a hybrid. Now you can have both the smooth and silkiness of single-ended tube sound, and good punch, rich, extended and well controlled bass performance. All information on this website is copyrighted by Space-Tech Lab. Ltd. 1996-2019 and may not be reproduced in part or in full without written consent from Space-Tech Lab. Ltd. Nor shall our product designs be copied or implimented without our consent. All Rights Reserved. Save the earth and save yourself, be a vegetarian and keep enjoying music for a long long time ! !